Baheyya has been blogging about Egyptian politics, literature, and culture for over 10 years. This review of Kamel Kilani’s legacy was re-posted with permission from http://baheyya.blogspot.ca. A long time ago in Baghdad, under the reign of Haroun al-Rashid, there lived a moderately wealthy trader named Ali Cogia. One night, Cogia had a portentous dream in which a shaykh exhorted him to make the pilgrimage to Mecca forthwith. When the dream recurred the following two nights, Ali decided he had better heed it. He packed up his belongings, rented out his house, and gave his neighbor Hasan a large earthenware jar filled with olives for safekeeping. Unbeknownst to Hasan, Ali hid one thousand dinars of his savings in the bottom of the jar under the olives. Cogia spent seven years on his travels, going from Mecca to Cairo, Jerusalem, Damascus, and Bilad al-Fars, doing a brisk and profitable trade and enjoying the sights. In the meantime, his neighbor Hasan accidentally happens upon the dinars and decides to filch them, refilling the urn with fresh olives. But lo, Ali returns a month later, thanks his neighbor and retrieves the urn. When he finds no dinars, he gingerly asks Hasan if he has borrowed them in a time of need. Hasan lies through his teeth, Ali takes him to court and loses, and finally submits a petition of complaint to Haroun al-Rashid himself. On the eve of deciding Ali’s case, al-Rashid goes on one of his incognito perambulations around Baghdad, inspecting the condition of his subjects. He overhears a group of boys acting out the court case between Ali and Hasan, and is highly impressed with the acumen of the boy who plays the judge. The next morning he dispatches his vizier Jaafar to summon the boy, has him sit in judgment over the real Ali and Hasan, gently chastises the judge who exonerated Hasan, and rewards the boy with a sack of 100 dinars for his uncommon discernment. Forever after, on moonlit nights, children all over Baghdad and beyond would role-play the story of traders Hasan and Ali, just as the children’s judge and his friends had. I first read this story decades ago one lazy summer afternoon. It was the first I heard of Baghdad, and imagined how it must be a wonderful city full of mystery, riches, and exotic headgear. Harun al-Rashid going undercover struck me as most clever, his elegant folds and drapes perfectly disguising him, no doubt. And he was so progressive, taking seriously a common little boy who happened to be more astute than the most senior judge. Excellent. I gobbled up more stories from ‘Alf Layla’ (The 1001 Nights), as selected and expurgated by a man named Kamel Kilani. There was the one about greedy Baba Abdallah, another Baghdadi trader who gets his just desserts by being blinded and then eaten alive by a pouncing lion. Then there was the good Abu Sayr and the evil Abu Qayr, two Alexandria tradesmen who seek their fortunes in some unnamed North African city. After a string of cruel acts, the dastardly Abu Qayr gets his just desserts too, by being stuffed into a sack and hurled into the sea. And of course those wicked robbers, who meet a most horrible death by having boiling oil poured over them by the plucky Morgiana as they crouched hiding in oil jars. The hard-won triumph of good over evil, the endurance of basic impulses of greed and wanderlust, the recurrent human failure to think through consequences– these are the building blocks of Kamel Kilani’s strange and wonderful story world. It’s a world that captivated me and millions of other young readers ever since he published his first story in 1928. The stories are handed down from generation to generation; my grandfather bought them for my father, who loved them and introduced me to them. The genius of Kilani is that he managed to make his stories didactic but not preachy, edifying yet fun, written in mellifluous modern standard Arabic but without a hint of stilted formality. Kilani understood the power of story, and made it his life’s work to enchant young people. Kamel Kilani Ibrahim Kilani didn’t set out to be the modern Egyptian pioneer of children’s literature. He just adored stories and had fond memories of a Greek nanny who raised him on a steady diet of fantastic myths and legends. He also recalled being captivated by tales of Abu Zayd al-Hilali and al-Zanati Khalifa recounted by an itinerant Azharite poet and storyteller in Midan al-Qala’a. Kilani was born on 20 October 1897 in the citadel neighborhood in Cairo, to a father who was a prominent engineer. He studied English literature in high school and enrolled at the Egyptian University (now Cairo University) from 1917 to 1930, reading French and English, and also attending Arabic grammar, logic, and morphology classes at al-Azhar University. He spent a few brief years as a high school English teacher and was then appointed as an editor and reviser at the Awqaf Ministry in 1922 (where Naguib Mahfouz also worked), where he spent the rest of his career until retirement in 1954. Kilani’s day job didn’t prevent him from becoming a prolific, prominent man of letters in the vibrant Egyptian cultural scene of the 1920s-1940s. His passion was the preservation and cultivation of the Arabic language, and he was party to polemical debates with Ahmed Amin and others against the increasing use of Egyptian dialect in newspapers and books. In 1920, Kilani began hosting a literary salon that met every Saturday at his home, and between 1929-1932 he was part of a short lived, pan-Arab literary club named the Arabic Literature Association of which literary stars such as Ahmad Shawqi, Khalil Mutran, and Sameh al-Khalidi were members. After a brief and unsatisfying stint as a literary critic, which Kilani abandoned because he considered it a quick route to vacuous fame, he opted for excavating and disseminating the gems of Arabic letters to a wide audience. He spent his evenings combing through the rich fund of classical Arabic poetry, from which he had memorized hundreds of quatrains, sifting, selecting, and redacting his favorites and publishing them in accessible editions that were soon to be reprinted over and over and distributed throughout the Arabic-speaking Middle East. Before long, Kilani became a one-man translation and editing powerhouse. In 1923, he produced the philosopher-poet and skeptic Abu al-Ala’ al-Ma’arri’s 11th century Resalat al-Ghufran (with a foreword by Taha Hussein), and in 1943 Dar al-Ma’aref published an English translation by Gerald Brackenbury based on Kilani’s Arabic redaction. There followed Diwan Ibn al-Rumi (1924, with a foreword by Abbas al-Aqqad), a history of Andalusian Literature (1924), Diwan Ibn Zaydun (1932), chronicles of the prophet’s life and that of his successors (1929), al-Ma’arri’s Resalat al-Hana’ (1944), and a score of books on literary criticism, collections of Greek myths and European stories, and a travelogue based on his visit to Syria, Lebanon, and Palestine in the early 1930s. The ten stories from 1001 Nights would be followed by story sets that Kilani translated and redacted from a remarkably catholic range of sources: Shakespeare plays, the epics Ramayana and Mahabharata along with other Indian narratives, Greek mythology, Swift’s Gulliver’s Travels, Defoe’s Robinson Crusoe, Dante’s Divine Comedy, Ibn Tufail’s Hayy bin Yaqdhan, the travels of the Andalusian geographer Ibn Jubayr, Arabic folktales centered around the character Juha, and tales by Hans Christian Andersen and the brothers Grimm. 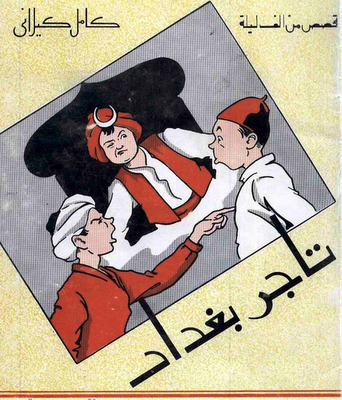 In the 1940s, Kilani produced some of his stories into lovely, quite readable English, placing the Arabic text side by side with the English rendition. And so, if the gazelle, through her artifice, has been capable of drowning in the water, the ghoul of beasts, surely I am capable—God willing—of drowning the ghoul of women in a flood of magic which will fill his heart with mercy and compassion and replace his cruelty and aggression with security and tranquility for my friends. Needless to say, you are prudent enough, father, to realize that the cruelty and violence which Shariar shows are not due to his base nature, but rather to a casual mental derangement, which befell him when his wife became unfaithful and betrayed him…And it is quite likely that had he come across a good and staunch woman, he would have been loyal to her and enjoyed her company, and thus would have reverted to his old ways of charity, compassion, justice, and kindness. 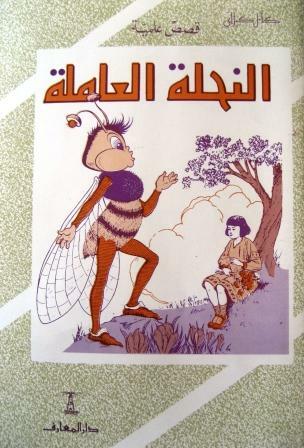 In addition to the literary adaptations, Kilani penned a delightful series he called “Scientific Stories” featuring a menagerie of frogs and toads, geckos, rabbits, owls, industrious bees, squirrels, and spiders, all conversing with each other in perfect Arabic. The critters expatiate on the beauty and harmony of the natural world and rue humans’ casual cruelty to animals. Some stories are supplemented with mini-dictionaries at the back, containing animals’ diverse Arabic names. Did you know that the bear is also called Abu Juhayna?! And the giraffe is Um Eissa?! 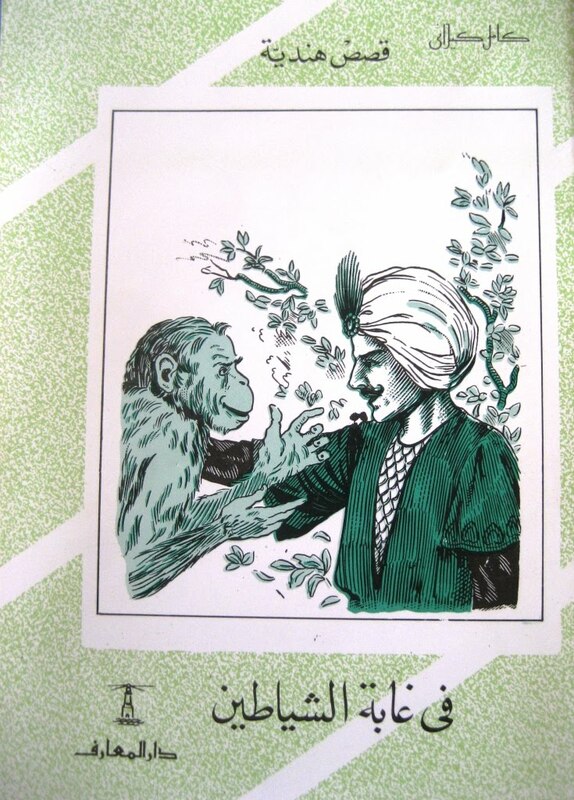 (A large collection of Kilani’s stories, including the Arabic-English ones, can be downloaded here). Kilani received accolades for his work starting as early as the 1930s, and no shortage of honorifics: “A leading light of the literary renaissance”, “The pedagogue of the generations”, “The pioneer of Arabic children’s literature.” He was canonized in his own lifetime, with several of his stories replacing the atrocious fare that students were force-fed in schools in Egypt, Palestine, and the rest of the Levant. And countless luminaries wrote contemporaneous and retrospective paeans to his dedication, modesty, sense of humor, and sheer love of his métier. But thankfully, Kilani was not co-opted, and remained essentially a lone man in his study, churning out fantastic story after story in impeccable Arabic, almost until the day he died in October 1959. It was as if he was communing directly with the minds of children, addressing them as “little reader” in the text, occasionally appending witty verses for memorization at the end of the story booklets, stocking each story with beautiful, expressive illustrations (of unknown provenance), and always including synonyms of unfamiliar words in the text, so that you’re effortlessly building your vocabulary while enjoying the tale. I was especially happy that all the stories had clear and thorough vowellization. The lack of these in other books tormented me; how was I to know that there was a shadda in قبعة if there was no tashkeel?! Boredom was banished by Kamel Kilani. My attention was held in thrall by all the strange and fantastic goings-on in his story-world, and I resolved to visit Baghdad when I grew up and could do whatever I pleased. I revisit the stories now and am awed by Kilani’s perfectionism; his fidelity to the original stories, making only surgical redaction; the accuracy with which he transliterated foreign names into Arabic. Kilani obviously delighted in language and was exceptionally skilled in building narrative momentum. But his enduring appeal lies in the singular gift of all superb storytellers, the capacity to excite fancy and kindle imagination.